LOSING IT - Edinburgh Fringe 2017! 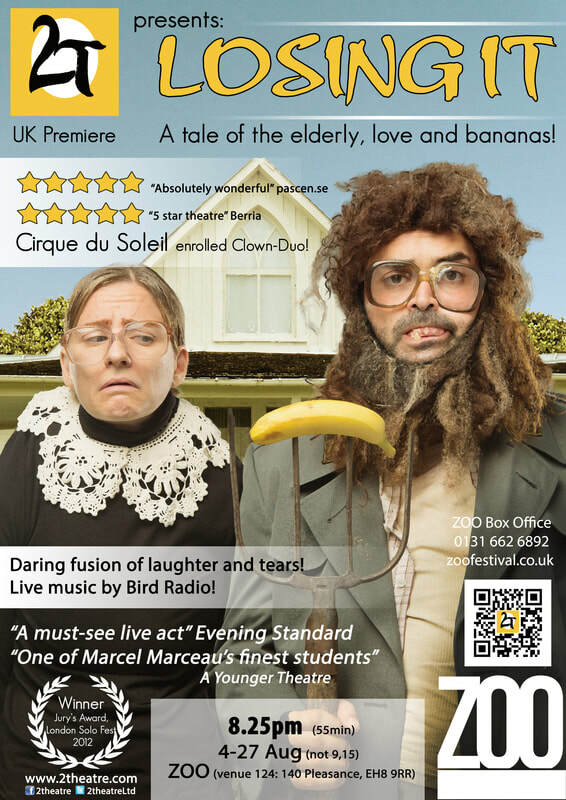 A tale of the elderly, love and bananas! Performed by a clown duo enrolled in Cirque du Soleil, accompanied by one-man orchestra Bird Radio and comedy directed by critically acclaimed Cal McCrystal, this show is a daring fusion of laughter and tears. An odd and elderly immigrant couple is waiting for their children... A life defined by vegetables, routine and memories is illustrated through grotesque body-mask, mime, object manipulation and live music played on classical instruments and kitchen utensils. a common creative space between EU and Ukraine. summer school for Ukrainian theatre professionals in 2017. Intensive Workshops in Mumbai & Bangalore! LPTS returned from the two very successful Platform & Mime courses at Drama School Mumbai and Shoonya Art Centre, Bangalore. 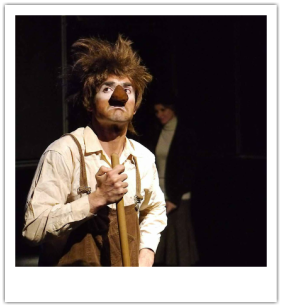 ​"Drastic change in 4 days"
performed at Cambridge University and Stockholm Mime Festival. 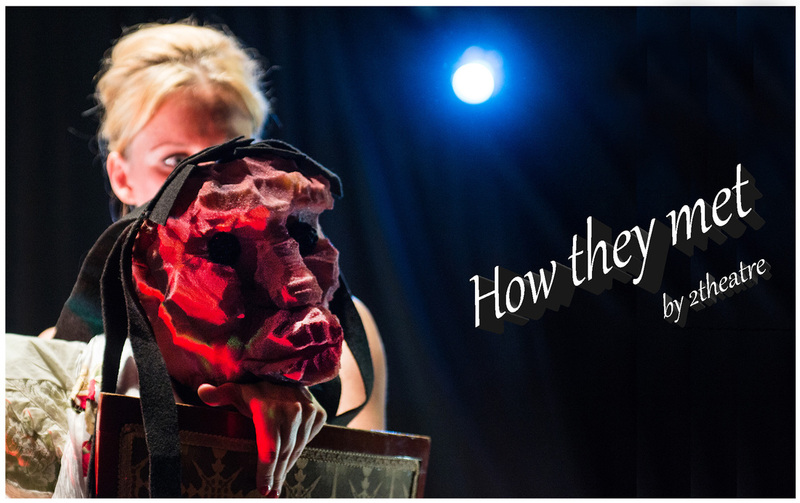 A Spanish rhapsody of love and puppetry! 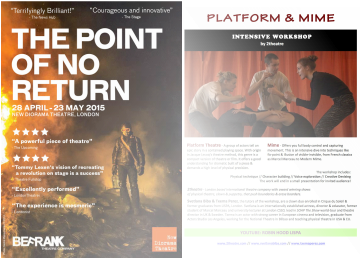 As Movement Director in BeFranks production "The Point of No Return" on the Ukrainian Maidan-revolution, and Physical Theatre Specialist, Lana was holding lectures and master classes for Drama Universities and theatre professionals in 4 cities of Ukraine.